Over the past few years, genealogists and family historians around the world have increasingly embraced DNA testing as a new, scientific method to learn more about their ancestry. Here, in the first instalment of a four-part series, our friends at Ancestry explain how a DNA test can revolutionise your family history research. DNA testing is the new frontier in family history. Bringing together science and history, it can offer unparalleled insights into your family’s past dating back multiple generations and centuries. If you’ve ever puzzled over a long-held family myth, a pet theory about an ancestor, or perhaps even your own researcher’s hunch, a DNA test can help you confirm or dispel these notions. Using advanced scientific techniques to produce your results, these tests can act as a more scientifically accurate basis against which to compare the family tree you’ve put together through researching the records. Perhaps most excitingly for the average family historian, they can offer clues and leads to help you pursue your research further. For many years, there was no DNA test on the market specifically tailored to Australian and New Zealand family historians. Early adopters of this technology, excited to try their hand at this new avenue of research, previously had to order these DNA test kits from overseas. But that all changed earlier this year – in May 2015 to be exact – when AncestryDNA, a leading DNA test kit provider, became available in Australia and New Zealand. First launched in America in 2012, AncestryDNA has been used by over one million people throughout the United Kingdom, Ireland and the United States to further investigate their family history. 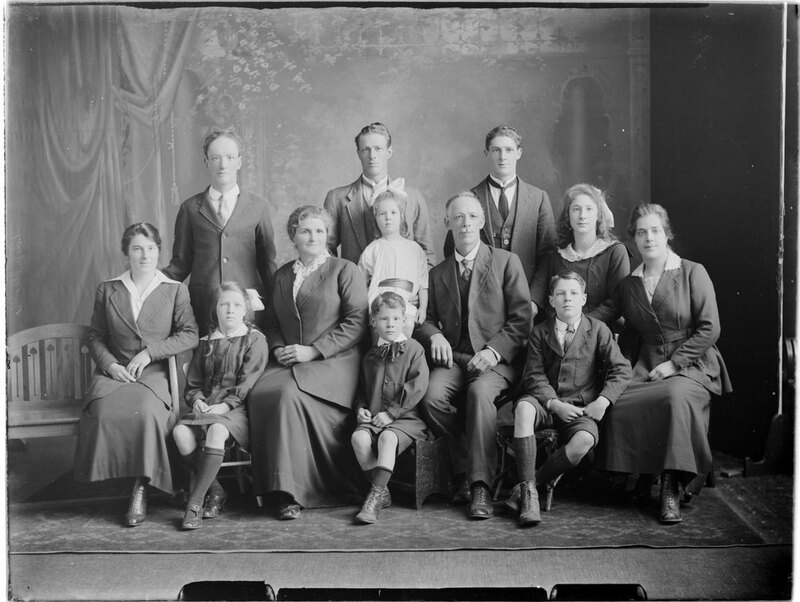 What this means for Australian and New Zealand family history researchers is simple: AncestryDNA has an extensive database of over a million DNA samples sent in by fellow genies around the world, all hoping to learn more about their family. Boasting such a large pool of existing DNA samples against which your results will be compared means that AncestryDNA maximises your chances of finding a DNA match – and perhaps even a living relative. What’s more, because DNA testing is such a booming area of family history research, AncestryDNA’s pool of results is ever growing as more and more genealogists embrace this recent advancement. As such, even if your results don’t reveal any DNA matches at present, it’s quite possible that a long-lost cousin three times removed might do the test and send their own results in farther down the track. And what happens when your test results do reveal a match? AncestryDNA makes it easy to identify unknown potential relatives through a dynamic list of possible DNA member matches. Combined with an Ancestry subscription, AncestryDNA can help you find new family connections through unique features such as its DNA Circles and possible relationship hints. This makes it easy to connect with distant cousins and, potentially, fill out the missing gaps of those lesser-known branches on the family tree – or perhaps even uncover some branches you hadn’t previously known. Even for the most diligent family history researcher scouring even the most thorough sources, there are some things no historical record can reveal. One of these is your individual genetic ethnicity. In a world where ethnic groups and national borders have radically changed over the past few centuries alone, it can be difficult to determine the exact ethnic makeup of your family. Any cultural roots that date back further than centuries can be virtually impossible to trace back over the centuries through records and documents – but a DNA test will investigate this for you with scientific accuracy. The scientific techniques utilised in the AncestryDNA test means that your results can go back some 500 to 1000 years – pre-dating, of course, not only any Australian or New Zealand records but also pre-dating European settlement here in itself! In scouring back over centuries, an AncestryDNA test provides an array of insights into your ancestors, from their ethnic makeup to their geographic distribution. This can help you gather more information about not only the variety of geographic locations reflected in your genetic ethnicity, but also the various patterns of migration this diversity may represent. Using some of the latest autosomal testing technology, the AncestryDNA test will map your ethnicity across 26 separate worldwide regions including Ireland, Great Britain, West Europe, Scandinavia, Iberian Peninsula, East Asia, Polynesia, North Africa and more. Often family historians will be amazed by their own genetic links to a region or ethnic group uncovered in their AncestryDNA test – sometimes it highlights unexpected corners of the earth, other times a rumoured cultural heritage isn’t as strong as they anticipated. But whether expected or not, every piece of information unveiled by the AncestryDNA test can form an exciting lead for you to pursue further in your family history.